Oh, how this family loves hummus. The first time I experienced it was in South Carolina after I graduated from college. I was at a little coffee shop that also sold sandwiches, and I ordered a hummus sandwich. I was surprised at how tasty it was! How was I just finding out about this? Why hadn’t anyone told me how delicious hummus was? I would buy hummus from the store or order it from Aladdin’s until I found out that I could make it myself. Remember, I didn’t really cook anything until about two years ago, so ‘making food’ was a new concept. I found a recipe for hummus online, modified it a bit, and this is what I make for our family. 2 cups chickpeas, with the liquid (I buy the dried chickpeas, soak them overnight, and cook them in the pressure cooker for 15 minutes). You can also used canned. blend until smooth in food processor or blender. add more liquid for a thinner consistency. 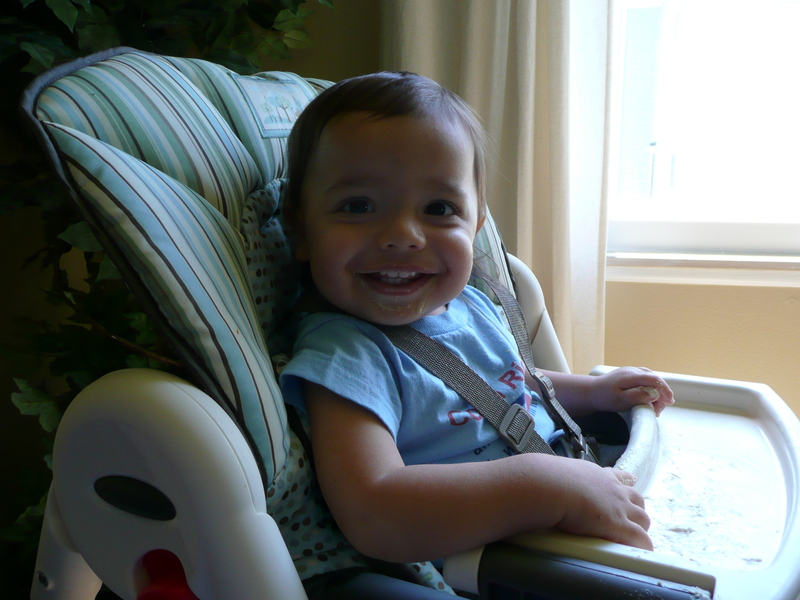 The best part is that LoMo will get to grow up eating hummus at least a few times a month. He gobbles it up! 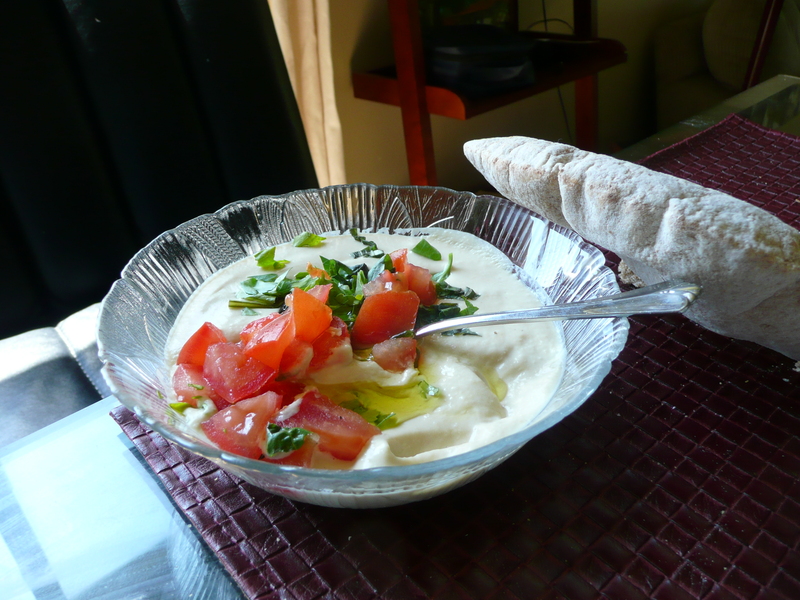 This entry was posted in Food and tagged chickpeas, ethnic, hummus, middle eastern, tahini. Bookmark the permalink. Gotta love hummus. Trader Joes makes some good ones too.